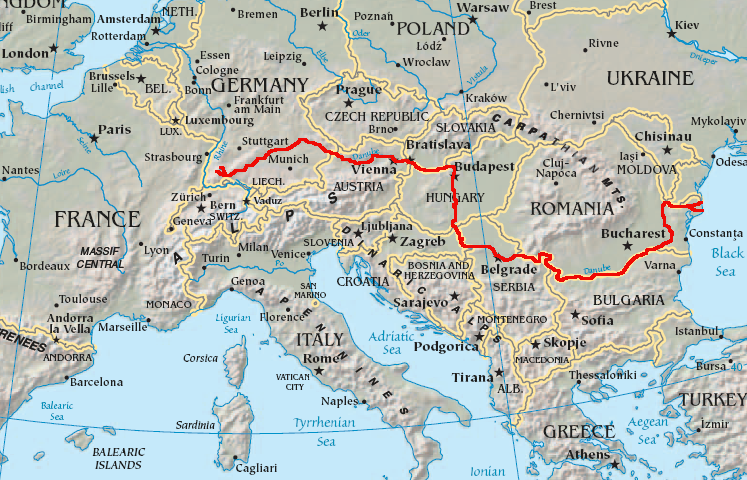 Map showing the flow of the Danube River. Uses the map of Europe from the CIA World Factbook. This image is in the public domain because it contains materials that originally came from the United States Central Intelligence Agency's World Factbook. nåværende 12. feb. 2007 kl. 07:34 747 × 480 (601 KB) Geologik Map showing the flow of the Danube River. Uses the map of Europe from the CIA World Factbook.